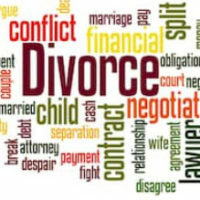 Parents who are going through a divorce are often concerned about whether they will be limited in their ability to take jobs, move out of the area, or re-marry someone who lives in another state. These relocation decisions are not to be taken lightly, because Maryland law does put limits on relocation, at least as far as the kids are concerned. But this can actually be good news to many parents who fear their children will be taken far away. Here are some straightforward considerations. First, it’s important to understand the reasons why one or both people might choose to relocate after a divorce. Better Jobs – Maybe you or your spouse have received a considerably better paying job offer, and it will require relocation. New Spouse/Relationship – Perhaps you or your ex-spouse have met someone new and wish to move in with that person. Grandparents and Extended Family – Some people simply need the help and support of loved ones in order to provide for the small children. Of course, just because you or your ex want to move away does not necessarily mean the children will go too. Generally, family court judges are going to focus on what is best for the children. If you and your ex have a fairly liberal joint parenting agreement with both parents getting considerable time with the children, then you should expect a fight if you seek to disrupt that relationship and status quo by moving your children away from their other parent, unless you have a convincing reason to do so. Any other factor that might be relevant to the decision. It is often said that family court judges are more like mediators or counselors than judges. This is because they are not always bound to strict statutory guidelines. Instead, these judges are given broad individual discretion to review just about any evidence that could play a role in making sure children are well cared for and protected. For this reason, it is important to work closely with an attorney who understands how to build your case and develop the evidence needed to compel a judge to find in your favor. Whether you are seeking to relocate with children or trying to prevent a spouse from taking children far away, call The Law Offices of Todd K. Mohink, P.A. in Maryland today to discuss how we might be able to assist you.